The court may require proof of residency. A driver’s license or other state-issued identification suffices. Or you can get an affidavit from an employer or another witness who can vouch that you live in the state. You can also use divorce proceedings to dissolve a domestic partnership in Nevada (though you don’t have to). 2. What are the grounds for a divorce in Nevada? 3. How do I file for divorce in Nevada? The other spouse then has the opportunity to file an answer and counterclaim. If the other spouse fails to do so, the divorce is considered uncontested. This is true even if only one party signed the documents. 3.1. What if my spouse lives out of state? Only one party to the divorce needs to live in Nevada. The other spouse can complete any necessary forms by mail. You can serve a summons and complaint by any means legal in the state where your spouse lives. Your Reno divorce attorney will know how to serve papers on a non-resident spouse. 3.2. What if I don’t know where my spouse is? People who do not know where their spouse is must take reasonable steps to find him or her. These steps are known as a “due diligence” search. If a due diligence search does not turn up the missing spouse, Nevada law allows “service by publication” in a newspaper. The missing spouse’s former employers, family, friends and neighbors. The first step to “divorce by publication” is to file an affidavit with the court. He/she does not know the spouse’s current whereabouts. The court then allows the spouse to serve the summons and complaint by publication in the Nevada Legal News or another newspaper.5 Publication must be made at least once a week for 4 weeks. The missing spouse then has 20 days in which to file a response. If the missing spouse does not respond, the court will consider the divorce uncontested. 4. 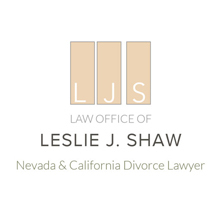 What is the divorce process in Nevada? Once the court has granted either type of divorce, it is final. The marriage is dissolved. There is a contested issue such as alimony or division of community property. There is no jury trial in a Nevada divorce proceeding. A judge determines all questions of law and fact. The judge may also order one spouse to pay the other spouse’s costs (including attorney fees) of the divorce proceeding. They do not need a judge to allocate assets or parental rights. They can negotiate and sign a separation agreement either before or after they file for divorce. Once the court grants the divorce, the separation agreement becomes a legally binding contract. Couples usually negotiate a separation agreement when they want a summary divorce. But a separation agreement can be useful even in a contested divorce. Anything the couples can agree to in advance is something the court does not have to decide. So having a separation agreement can speed up the process. 6. How is marital property division in Nevada? acquired during the marriage. Courts usually divide these assets 50/50 between the spouses unless there is a prenuptial agreement. During the divorce process, one spouse may offer the other a settlement agreement concerning property rights. If the other spouse accepts, the court will usually divide the property according to the agreement. 7. How is spousal support (alimony) calculated in Nevada? 8. How are child custody and support determined? In Nevada, child support is based on a fixed percentage of the non-custodial parent’s gross monthly income. The precise amount depends on the number of children. 9. How much does a divorce cost in Reno, NV? Whether a party needs to locate a missing spouse. Regardless of the type of divorce, the Nevada district court charges a filing fee of approximately $300. Attorney fees are additional. Most Nevada divorce lawyers charge by the hour with a minimum retainer. A typical contested divorce involving two attorneys will cost each spouse several thousand dollars. However, your cost may be more or less depending on how complex your divorce is. 10. How long does a divorce take in Reno, NV? Contested divorce: Up to 3 months (or longer if the assets are very complex). 11. Are divorce proceedings public? Any necessary witnesses or family members. And even family members and witnesses can be excluded if good cause is shown. 12. Why should I hire a Reno divorce lawyer? Doing your own divorce can be a good option — especially when it is a summary divorce. But even when the decision to end a marriage is mutual, the issues can get complicated. And when there are children or significant assets – such as a house – having an experienced Reno divorce lawyer is crucial. The right lawyers can help you protect your parental and property rights without unnecessarily aggravating your ex. If you are thinking about getting divorced in Reno we invite you to call us at 775-588-5311 for a FREE consultation. Or fill out the form on this page and one of our caring and experienced Reno divorce lawyers will get back to you promptly to discuss your case.